If green thumb fever has you looking for a plant—any plant—to start from seed in March, consider parsley. This hardy herb can take any late winter/early spring chills in the garden and will continue producing tasty sprigs deep into the summer. One negative you might hear about parsley is that it can be a real bear to start from seed. There is even an old legend that says parsley seeds must go to the devil and back again seven times before they will sprout. This strange tale seems to have some truth because it can take up to three weeks for the seeds of this herb to sprout. There are shortcuts though. Some gardeners soak parsley seeds in a wet napkin for a day, and this does quicken germination. However, these tiny, sixteenth-of-an-inch-long seeds are hard enough to sow properly when they are dry, but they are even more difficult to plant correctly when wet. An alternate method is to simply take the parsley seed pack and toss it in the freezer for a night. That will really cool the ol’ devil off, and it will reduce the seeds’ germination time by a week or more. Parsley seeds will also sprout faster in the controlled climate of an indoor setting. They should be planted in individual peat pots filled with fresh potting soil. Cover the seeds with only a 1/8-inch layer of soil. Water the pots and be sure to keep the seeds evenly moist throughout this development period. Place the pots in a warm location, and to help retain humidity, cover them with a sheet of plastic. After about a week, check the seeds every day for signs of life. When sprouts pop up, remove the plastic and place the pots in a sunny window. Continue keeping the soil evenly moist and occasionally add a little liquid plant fertilizer to the water. After these small plants develop four leaves and get a few inches of growth on them, they will be ready for their final location. A sunny, well-draining site outdoors is the place for parsley. 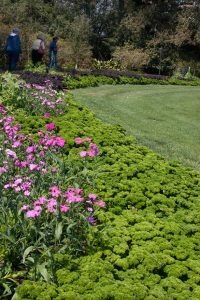 For best growth, space the plants at least 6 inches apart and add mulch to help retain ground moisture. Parsley can attract foliage-eating green, yellow and black striped caterpillars called parsley worms. Before you react too fast to remove them, keep in mind that they mature into black swallowtail butterflies. Vegetable and herb gardens are obvious spots for parsley, of course, but why not get creative? This deer-resistant plant will also do nicely as an elegant, low-growing (12 to 18 inches high) eye-catcher on the front of a perennial border or in a mixed planter as an interesting edible ornamental. 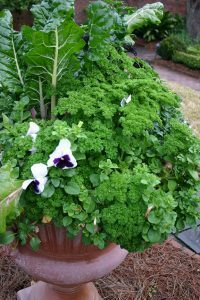 In addition, the clean green of parsley can look quite impressive accenting flowers in containers. Just keep in mind that, if any pesticides are used around this herb, make sure they are cleared for use on edible plants. 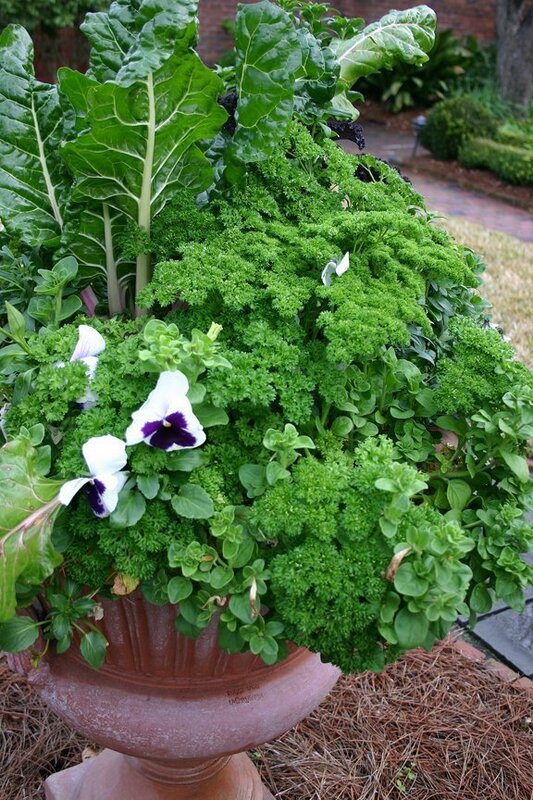 As far as looks go, curly parsley is particularly pretty and is perhaps the best to use for ornamental purposes. The flat-leaf or Italian parsley won’t turn as many heads, but it tends to have better heat tolerance and more flavor. The type, the location and, more importantly, the possibilities of parsley are up to you, and are only limited by your imagination.